In my second trip to Eastwood to see Nottingham Forest play at home as they would welcome the Northern Premier League Champions, Blackburn Rovers. A team that has won their league with games to go and a team that also beat Aston Villa in pre-season. A team that shouldn’t be in the League they are in as they would beat a lot of teams that play in the Championship as well. When Nottingham Forest travelled to play Blackburn Rovers away they lost 8-0 on the day. Once again always such a beautiful ground to visit, always well run when you arrive to go grab a drink in the fantastic bar area they have before going through the turnstile which is run by the friendly staff as you arrive. 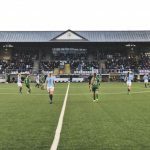 Again a great promotion of the game saw a bumper crowd of 305 again, which would beat some of the Championship attendances this season. Afterwards it was put onto Twitter that Nottingham Forest have had an increase of home attendances by 70% and it’s very much deserved by the work they put in online. Before Aja Aguirre and Jordan Atkin signed just purely by an online and social media presence I wanted to come and attend a game. Which again from the outside you need a look into the club to draw you in and Nottingham Forest do this on a weekly basis. I have to give a massive shout out to Lee Billiard as well because can see the effort and work he puts in to try and push the team in the right direction, he gave me a signed programme and signed ball which is very much appreciated and wasn’t expected so I do thank him alot for this as well. I am very sure that next season I will return to see Nottingham Forest play once again from experiences this season. 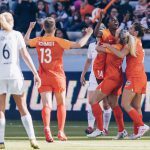 It was Fan Appreciation Day and this was something that was truly shown when they announced the attendance and Georgia Hewitt dropped the ball she was going to take the throw in with to clap the crowd, a very classy touch you rarely see in anything these days. The kick-off was delayed as Blackburn was caught up in traffic but again was announced early and everything was handled well and smoothly as the game counted down till kick off. 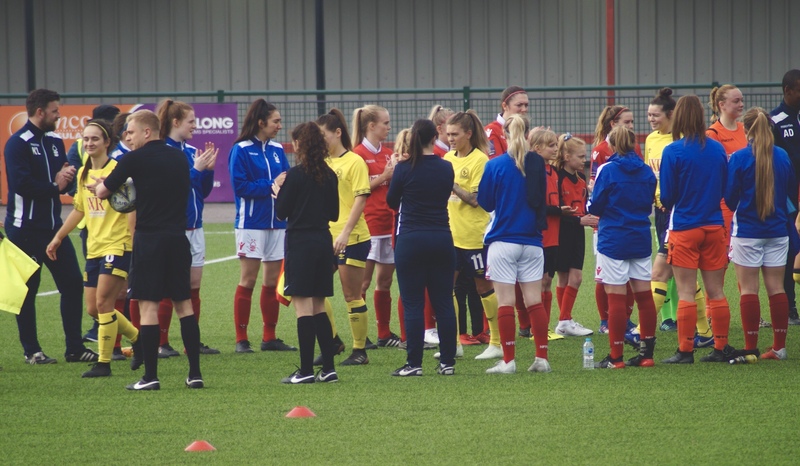 The game started with Nottingham Forest showing the class they possess as they gave Blackburn Rovers a guard of honour for winning the Northern Premier League as they entered the pitch at Eastwood. But that was as far as the respect would be they allowed them as the game kicked off. Blackburn came out of the blocks fast as they had the first attack which forced a corner and as Tash Fenton mad connection with the header Amiee Hickingbotham cleared the lines but would this be a sign of things to come. Nottingham Forest almost was woken up by the early chance as both teams were defending well. Jordan Atkin once again as always if you give her the ball will create something as on the 9th minute she used her skill to turn the Blackburn defence as she crossed the ball across to Precious Hamilton she couldn’t get the touch desired as it bounced off her to safety. From the early stages of the game you could already tell that the battle of the game was going to be between Lagan Makin and Katie Middleton as Makin ran down the wing with pure pace but Middleton tracked her all the way back and put in an inch-perfect tackle to stop Blackburn getting in a dangerous attack. On the 12th minute a ball over the top saw Saffron Jordan run onto it but Aja Aguirre was fast off her line as she knew she would have to be alert at all times as she collected the ball. 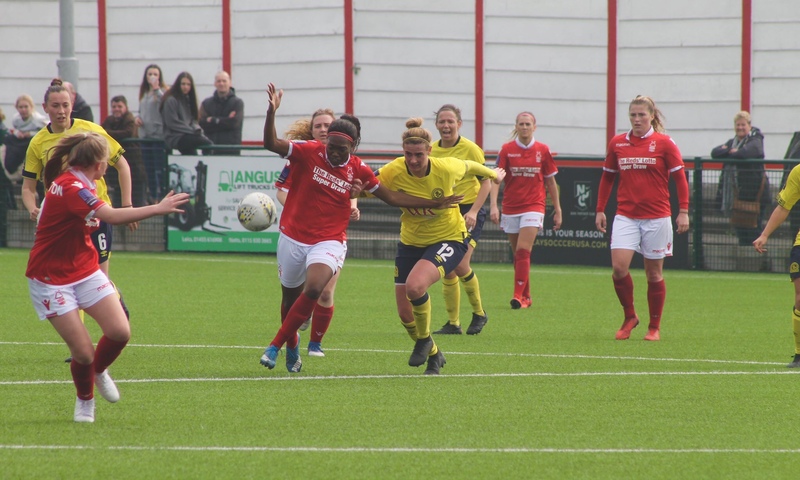 Jordan Atkin got the ball at her feet and showed strength on the ball as she tried to turn into a position to only be stopped by drawing a foul off the Blackburn defender. The following free kick fro Captain, Lydnsey Harkin had to much on it as it rose over the bar to take the pressure off Blackburn. On the 16th minute Nottingham stood off Tash Flint which isn’t a smart thing to do but luckily her effort from long range didn’t cause Aja Aguirre any trouble in the goal as she collected it easy. A few minutes later Lagan Makin and Saffron Jordan combined but some good defending saw the pressure build on Lagan as she forced her shot wide that clipped the outside of the woodwork on the way out, a great chance that was stopped by some good defending. Some good pressure on the 23rd minute saw the ball break to Katie Middleton a long way out with the keeper off her line, as everybody was screaming shoot at her, Katie remained calm and showed an old head on young shoulders as she took her time and composed herself before taking aim and hitting it goal bound as she scored a cracker from a long way out to give Nottingham Forest a 1-0 lead and Katie Middleton had gone onto double figures for the season with her 10th of the season. This seemed to shake Blackburn as a few minutes later a ball into the box from a corner as the ball landed to Precious Hamilton her first effort rebounded straight back off the woodwork to her as she forced it back goalwards past the keeper into the bottom left corner, Nottingham had doubled the lead and took a dream start to the game as they had contained Blackburn’s threat and started to take over as well as match what Blackburn was doing in the first 26 minutes. 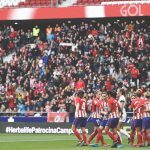 A 2-0 lead was totally deserved for the effort as well against the Champions of the League. This seemed to wake up Blackburn a bit as they had a fair few quickfire attacks which saw Tash Flint hit over the bar, Lagan Makin had an attempt but Aja Aguirre was there to stop the chance once again. Aja Aguirre once again saved from the feet of Jess Holbrook. 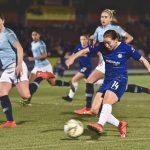 On the 38th minute Precious Hamilton got the ball and flicked it through to Jordan Atkin, as she used her pace to break through the Blackburn defence, unfortunately, didn’t get the connection she desired as the Blackburn keeper saved the ball from extending the lead. Straight from the chance it seemed as if Blackburn would make Nottingham pay as Saffron Jordan broke through the defence to end up 1 on 1 with Aja Aguirre but the Canadian does what she does best as she read what Saffron was going to do as she got down low to stop the effort keeping Nottingham 2-0 up. The pressure was again on Nottingham as Tash Flint somehow missed an incredible cross by Lagan Makin that looked easier to score than miss then Saffron Jordan went close with a dipping effort but it was the wrong side of the post to trouble Aja Aguirre. Saffron Jordan should of had a goal or two in the second half but it showed her luck as her effort hit both posts and rolled across the line to safety as Nottingham were under the cosh a bit now trying to get to half time with the clean sheet. 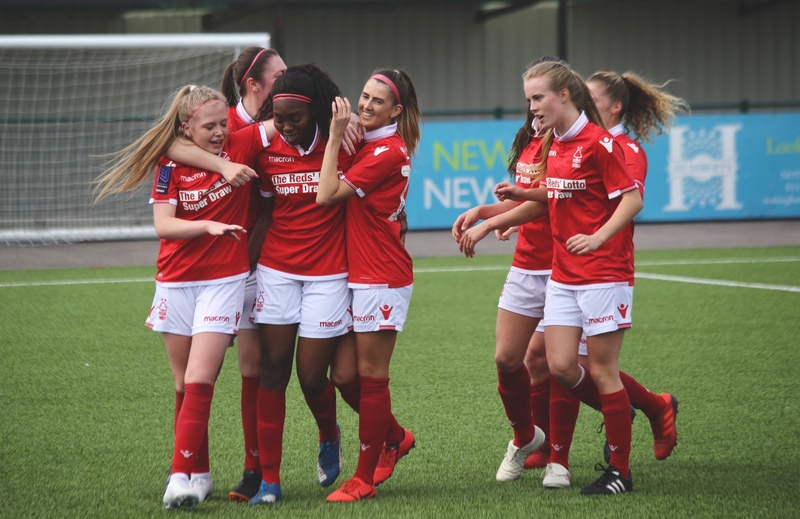 Aja Aguirre was kept busy in the last few minutes as well but wouldn’t give up the goal easy as she kept the score at 2-0 to Nottingham Forest as they went into the half time break. 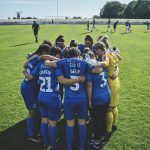 It didn’t take Blackburn long to get on their feet in the second half as a dangerous corner in the 52nd minute was hit over the bar by Tasha Fenton, after some good defending by Georgia Hewitt and Lyndsey Harkin blocking the effort of Alex Taylor. On the 54th minute Nottingham nearly got a goal that maybe could of changed the game going 3 up but the set piece from Lyndsey Harkin was floated in and Amiee Hickingbotham got her boot to it as it went goalwards but Lynda Shepherd managed to divert it behind with her head for a corner keeping the score at 2-0 with 53 minutes on the clock. Just like the first half the threat came from Lagan Makin as she sprinted past the Forest defence to put in yet another brilliant cross and as Aja Aguirre got her fingertips to it to parry the cross away from the goal it landed at the feet of Saffron Jordan who finally got the goal she somehow didn’t get in the first half giving Blackburn a notch on the score sheet and making it 2-1 after 56 minutes. In an unfortunate moment and a swing of momentum it was only 3 minutes later until Blackburn had a golden chance to go level as Precious Hamilton handled the ball in the box for which she was yellow carded and a penalty was given. 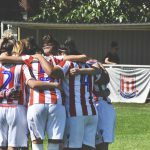 Lynda Shepherd stepped up to take the penalty and even though Aja Aguirre read it and dived on her left it was so well struck that it left her no chance at all giving Blackburn the equaliser and leaving the game 2-2 after 59 minutes. 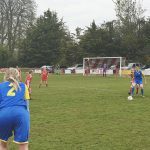 The shift in momentum seemed to of stunned Nottingham now as Blackburn were in full swing as Tasha Fenton had an effort that was struck over the bar followed by Lydsney Harkin nearly beating Aja Aguirre in her own net from a corner but thankfully the ball only went for a corner. Nottingham made the first substitute as Ashleigh Edwards came on to replace Aimee Hickingbotham. The following corner was a well-worked set piece by Blackburn that saw Jess Holbrook pulled back to Tash Flint who showed why she has scored so many goals as she hit the ball first time from 25 yards out as the ball hit the back of the net giving Aja Aguirre no chance in the Forest goal what so ever and completing a Blackburn comeback after 67 minutes giving them a 2-3 lead over Nottingham Forest. Lagan Makin was making such a difference using her pace to get up the wing as she nearly combined with Saffron Jordan again. Blackburn replaced Alex Taylor with Lauren Davies and Helen Constantinou with Katie Middleton on the 70th minute. Sophie Charlton came on for Tash Flint on the 74th minute as well. Blackburn’s fourth goal came from Saffron Jordan again as she broke into the Nottingham box after a loose ball in the box fell to her and with a deft touch she lifted it over Aja Aguirre in the Forest goal giving them a 2-4 lead in the 75th minute. Nottingham made their final change on the 83rd minute as Precious Hamilton came off for Sophia Bonser. Aja Aguirre once again got down to stop Blackburn adding to the score sheet as Lauren Davies hit an effort that Aja saved down low. 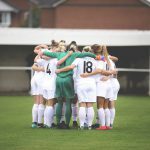 As the game ticked into the final minute before injury time as I said when Blackburn made the change I wouldn’t be surprised if Sophie Charlton scored one as well as she such an impressive goal scorer from what I saw at Fylde when I saw them play. 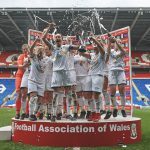 On the 90th minute when Lauren Davies picked Sophie Charlton out with a brilliant ball she diverted the ball past Aja Aguirre giving her no chance again in the goal as Blackburn went 2-5 up going into Injury time in the game. 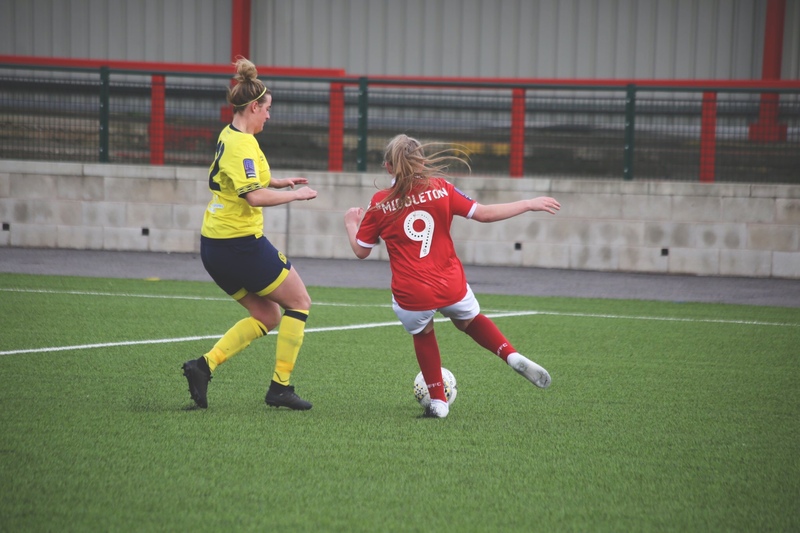 Nottingham tried to battle on as the game came to an end when Jordan Atkin won the ball back and drove at the Blackburn defence late on to try and get a consolation goal but her effort narrowly missed the goal. The full-time whistle went and Blackburn had come out 2-5 winners showing just why they are Champions of this League and only lost one game along the way. I catch up with Lauren Peck of Watford, who gives an interesting insight into how women football works.